I was interviewed by two journalists at the "Trans-Form Function" opening back on January 10th. Back at the studio, I was mid glazing when another journalist asked if they could talk to me for a moment about the program. I never got around to seeing what they wrote about our studio, the work we created, and our exhibition. So today I did some digging. 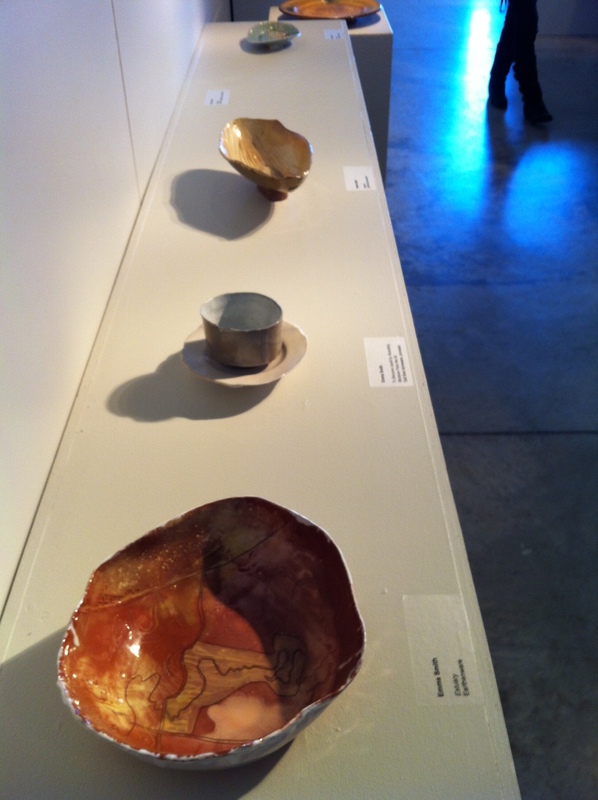 Here are a few links to videos, photo collections and articles about the ceramics program at Sheridan. I'm featured in the article "Extending your thoughts through art" by Cole Ritchie - along with an unflattering photograph. So, if you didn't make it out to the show - live vicariously through these links. Oh, and all of the journalists are fellow Sheridan students!